We can usually repair this moisture using our cost-effective and environmentally friendly moisture repair process. Unfortunately, not every window can be saved. There are also aesthetic or functional reasons why some owners would like to replace their windows. That's OK, we do that too. 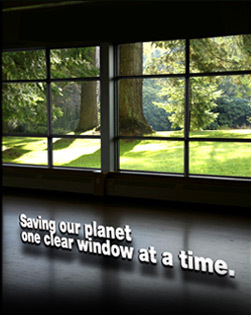 We work with one of the largest manufacturers of commercial and residential windows and doors in Ontario. With a wide selection of types, styles, and customizations to choose from, we can address nearly any residential or commerical glass replacement need. We offer no-pressure sales, and alternatives to costly window replacement that other contractors can't offer you. Could a window be saved by our less expensive moisture repair process? We'll let you know. Would adding a discreate magnetic interior storm window reduce the draft and noise, or allow you to save a heritage window? We'll let you know that too.